If an earthquake event has already caused foundation issues we specialize in primary foundation damage repair of all types. Our expertise also includes concrete lifting and leveling of slabs, driveways, and more. The more stable your home or building, the better its chances of suffering minimal destruction during or following an earthquake. At Foundation Repair of CA, we approach each job we undertake with a fine eye for detail. We'll take the time to retrofit your property so that you get the peace of mind you deserve. Protect your home or business with earthquake retrofitting and repair from Foundation Repair of CA. Call today for more information or to schedule an estimate in Napa, Sonoma, Saint Helena, Calistoga, American Canyon, Vallejo, Santa Rosa, Rohnert Park, Petaluma, Novato, Fairfield, Vacaville, San Francisco, San Jose, Fremont, and the surrounding areas in California. Your house is well-built. The builder used high-quality lumber, properly spaced the studs and made sure joints are sized correctly for their span and load requirements. There’s no reason you should worry about an earthquake, right? You would think so, but this is not the case. Even a house that’s built using the toughest materials can be severely damaged by an earthquake. Structurally-sound buildings can slide off their foundations and crawl space or basement walls can collapse. Roof trusses can tilt just like falling dominoes. Fortunately, it’s possible for these structural disasters to be avoided. An experienced contractor can install well-engineered framing connectors the right way, in order to protect your home or office from devastation. 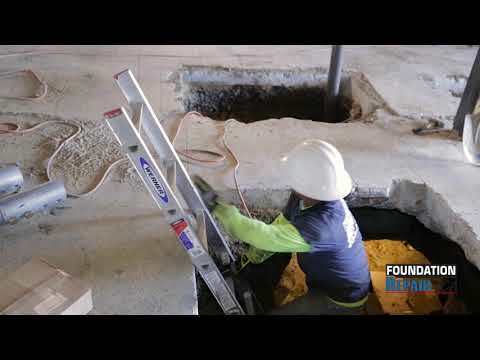 Foundation Repair of CA provides estimates for earthquake retrofitting in San Francisco, San Jose, Fremont, Salinas, Oakland, Stockton, Modesto, Santa Rosa, Hayward and throughout the surrounding area. Why is seismic retrofitting so important? The widespread use of wire nails changed the building industry when they were introduced to American builders in the late 1800s. While wire nails ensure strong structural connections, they also have serious limitations that become even more apparent during a seismic event. For instance, a wood-framed wall that is held together with nails can support a substantial downward (vertical) load, but this same wall becomes weakened by sideloading forces, like those that occur during an earthquake or hurricane. Nails can also rust due to moisture, causing them to weaken or even break. Want your home to be protected from the next earthquake? Our expert seismic retrofitting is the answer. Thanks to Foundation Repair of California I think our home fared much better than most people in the Napa area. Broken glass and stuff from shelves plus closets are all dumped on the floor, but our foundation held. Professional, explained thw ork, finished the work as explained and based on the quote. The best way to ensure your building is protected against major earthquake damage is to have it inspected and reinforced by a trusted and skilled seismic retrofit company. We are able to use specialized framing connectors that overcome the weaknesses of nailed connections and older construction techniques. As the the San Francisco Bay Area & Central Valley's expert foundation contractor, we rely on the knowledge of structural engineers and the latest reinforcement strategies designed to make buildings more resistant to earthquake damage. While seismic retrofitting may sound expensive and overwhelming, most of our specialized structural enhancements can be completed quickly and affordably. Having access to key stress points like stem walls or pony walls, sills, rafters and truss chords means that framing connectors can be installed at specific locations to greatly strengthen the building’s structural integrity. A seismic retrofit is a small investment compared to the major loss that can occur without sufficient structural protection. Performing a seismic retrofit not only provides peace of mind to the building’s occupants, but it can also potentially lower the owner’s insurance premiums. Foundation Repair of CA makes it easy to stay safe and protect your investment and belongings. We offer estimates on earthquake retrofitting in California, including San Jose, Fremont, San Francisco as well as Hayward, Vallejo, Sunnyvale, San Mateo, Concord, Daly City, Berkeley and neighboring towns and cities.